In this day and age, we enjoy the luxury of roadside assistance. Whereas drivers of past decades had to manage their own flat tires and other driving emergencies, we can now get ourselves out of most car fiascos by simply picking up the phone and calling for help. It’s important not to be lulled into a false sense of security, however. Driving disasters could strike at anytime—including when you are traveling through areas without cell service. It’s important to have the right tools in your vehicle to help you get out of potentially dangerous situations when roadside assistance is not accessible. This emergency tool will be a lifesaver when you are stranded with a dead battery. The jumper cable can be connected to a good battery with similar voltage. And before you put the jumper cables in your car, make sure that you know how to connect them to another battery to start your car. This is a small tool that a driver can keep within reach while driving. It could be used for cutting the seatbelt or breaking the window in emergency situations where you need to evacuate the car quickly. 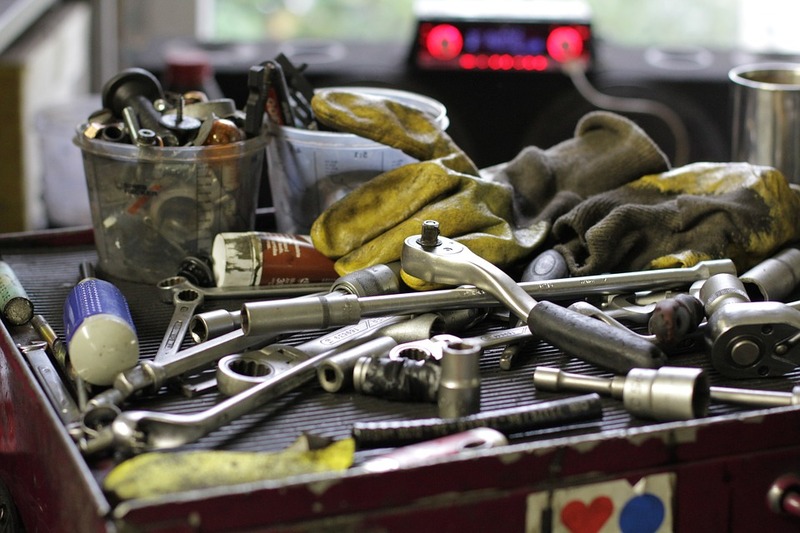 Keep a set of wrenches in your car in case you need to unscrew or tighten bolts and nuts on your vehicle. Reaching for a bolt in the car engine can be a difficult task because the area is very crowded. You may not be able to use a regular wrench here so it is important to carry a set of flexible sockets that will allow you to access car components in tight spaces. A set of pry tools is essential for fixing small damages to your car. It can help you pry open various parts of your car that may be too difficult to open with your hands. This tool can provide a boost to a dying car battery. It will allow you to charge your batteries quickly no matter where you are. You can minimize the risk of car breakdowns on the road by properly caring for your vehicle. Visit a reputable automotive repair shop near you for regular check-ups and preventive maintenance.